Things that help round out your square meal. 4 Ingredient Pea Salad - by Chelle. Asian Sweet Soy Dipping Sauce - by Cathy Lea. Asparagus with Lemon Butter Topping - by Cathy Lea. 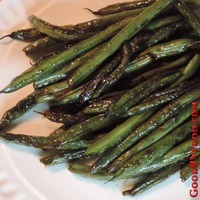 Balsamic Green Beans - by Cathy Lea. Broccoli and Cajun Sauce - by Cathy Lea. Brown Rice with Black Beans - by Sue Baker. Brussels Sprouts Pot Sticker Style - by Cathy Lea. Cabbage And Apple Slaw - by Cathy Lea. Chinese Buffet Green Beans - by Cathy Lea. Colcannon a la Caravan - by Cathy Lea. Easy Yeast Rolls - by Billy. Farmers Market Kale With Olives - by Cathy Lea. Garlic, Herb Summer Squash - by Barbara Dalderis. Green Bean And Tomato Salad - by Cathy Lea. Grilled Brussels Sprouts - by Cathy Lea. Grilled Fresh Veggies - by Maribel Penichet. Harvard Beets - by Cathy Lea. Hawaiian Beans - by Jillian Dal Bello. Honey Pepper Grill Glaze - by Betty. Lemon Pepper Corn - by Ann B. Mushroom Noodles - by Rose and Rognar Doerwald. Mustard Coleslaw - by Barbara Dalderis. Pineapple Cheese Casserole - by Gloria Laundrie. Quick and Moist Cornbread - by Roadtrek Chapter Member. Red Chile Mashed Potatoes - by Cathy Lea. Santa Fe Spice Rub - by Cathy Lea. Sausage Dressing Plus - by Carol Stoegbauer. Shane's Bannock - Campfire Version - by Jeannine Maranchuk. 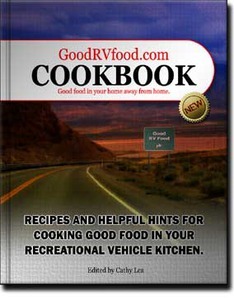 Skillet Cornbread Muffins - by Roadtrek Chapter Member. Spaghetti Squash - by MaryAnn Campanella. Spiced Cranberry Sauce and Spread - by Martha Esbenshade. Sweet And Sour Cabbage - by Cathy Lea. Sweet and Spicy Beets - by Cathy Lea. Tartar Sauce - by Cathy Lea. Zesty Baked Beans - by Cathy Lea. Zucchini Banana Nut Bread - by Deborah Maples.